Well known Imbizo Gallery owner and curator Isabel Roos is a certified lover of a broad selection of visual arts. 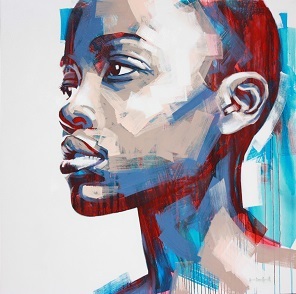 She already owns two well-established galleries – one in Ballito and one in Hoedspruit. Her latest project is a beautiful new Gallery space in Pearl Walk – Umhlanga’s first high-end, boutique shopping mall. Pearl Walk, the actual Mall itself, is set to open its doors officially in November, but Imbizo Gallery will be opening with a bang on October 27. Roos has specifically chosen and invited four well-known South African artists to open this prestigious event and space. These include bronze sculptor Marke Meyer and painters Sarah Danes Jarrett, Natasha Barnes and Nico Roos. The name ‘Imbizo’ is the Zulu word for “meeting and coming together” – and Isabel Roos’s gallery spaces are just that – a meeting place of intriguing and thought provoking South African art. Effervescent actor, singer and writer Barbie Meyer will open the event on October 27 starting at 18h30. All art lovers and collectors are welcome to join her and Isabel Roos as well as the artists themselves for snacks and a glass of wine.